The fleur de lis, a stylized lily, has been a familiar symbol used for centuries for religious, political and artistic reasons. In Italy, the fleur de lis is found in icons of the first Bishop of Florence, Zenobius. The front of the Italian coin, florin, was decorated with this flower from 1252 to 1533. And, the Tuscan towns for Firenzuola and Castelfiorentino share a red fleur de lis on their coat of arms. 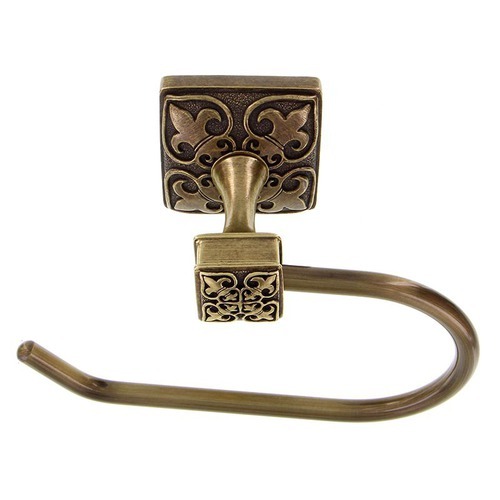 The three inch center to center pull is available finishes include Antique Brass, Antique Copper, Antique Gold, Antique Nickel, Antique Silver, Gunmetal, Oil-Rubbed Bronze, Polished Gold, Polished Nickel, Polished Silver, Satin Nickel and Vintage Pewter. Mounting hardware is included. 100% lead free pewter. Handcrafted in the USA.